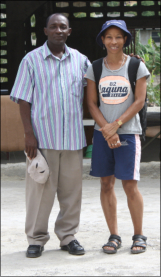 Pastor Jean Claude Desinor is the leader of Bethanie Baptist Church, located in the La Coup are of Port de Paix, in Northern Haiti. During a visit to Haiti in 1997, a group of us from England, some of who later became the founding members of Hands of Hope, met Pastor Jean Claude and his elders and were privileged to hear about the vision that the Pastor had for his church and the community in which they served. Such was the power of the vision and the conviction of the Pastor and his elders that the group from England pledged to assist the church as much as they could. When we first met the church community at La Coup, they were worshipping in a single room corrugated tin shed holding around 100 people. Despite the fact that they were baking in the sun, they worshipped and praised with much gratitude. A small school was run in the church building, amazingly providing an education to about 100 kids, by holding classes in the four corners of the church building! After helping with the purchase of land, and building up and extending the building the original church building was eventually converted into an eight-classroom purpose-built school after five years of work and fund raising. The school now provides a state recognised education to over 400 children. The school is served be eight teachers. Education in Haiti is not free and each child that attends school is expected to pay school fees that are used to pay the teachers salaries and contribute towards the school running costs. Not all children are able to pay, but the church is very reluctant to turn children away because of this. Therefore, through a Teacher's Sponsorship programme, Hands of Hope is committed to paying the salaries of the teachers in order to ensure that an education will always be available to children. The new school year has seen even more children enrolling at the school, which is now very well established and enjoying a good reputation in the community. As a consequence, more people are now attending Bethanie Baptist church. The church and the school are very pleased that their plans for the extension of the school by building a second floor are now almost complete. Work commenced recently and has been funded by Hands of Hope. 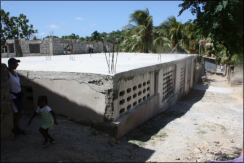 As well funding the construction of the second floor and seven additional classrooms, Hands of Hope continues to contribute to the salaries of eight teachers. Future plans of Bethanie Church are to provide vocational education for older students - e.g Plumbing, Electricals, Video/Media and ICT. Long term future plans are to provide a health centre and primary health care for the community. 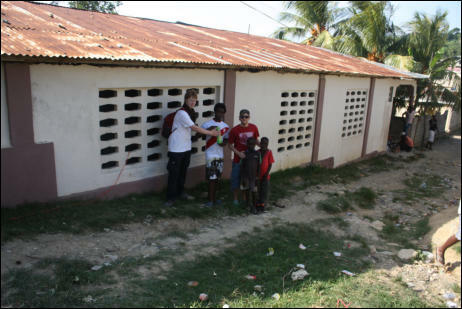 Hands of Hope are now funding a two year special project to add a second floor to the school. As well as providing additional classrooms for the primary school, the classrooms will also be used for the Bethanie Baptist Vocational School. This technical college for young adults will provide practical courses in Sewing, Plumbing, Electricals, Video/Media and ICT. The Charity is now in discussions with the Pastor concerning the future possibilities of starting a feeding programme at the school to assist the poorest and most vulnerable children.